It can’t be November yet! How can it be November already? Wasn’t it just yesterday when humidity was 1000% and temperature in the shade was 50 degrees? Not that I’m complaining about the nicer weather we are having lately but it can’t be November yet, damn it! I am not ready to turn another year older. Speaking of presents, I think it’s safe here to show you a little something that will be going to a certain someone soon. Porcelain stitchmarkers in the shape of two ginger cats. Any ideas who the lucky recipient could be? As far as I know she doesn’t read my blog, but if she does (thank you!) then I’m busted. The stitchmarkers were bought from the Skein Queen’s shop. Since we’re on the subject of presents, here is one of my birthday presents for myself: a subscription to The Magnolia Society Sweater Club. 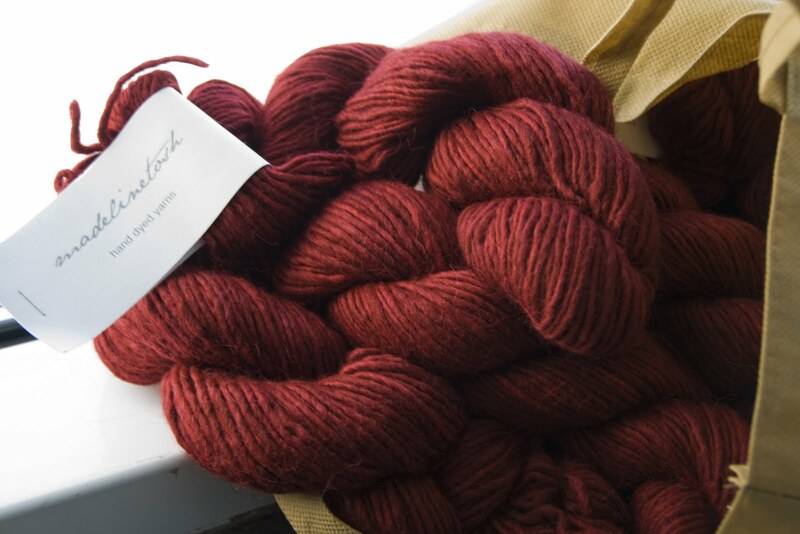 The first shipment has arrived and it is an absolutely gorgeous shade of red called Tart. The yarn base is merino, silk and alpaca. It’s soft and cool to the touch and will probably become my Central Park Hoodie. I have just been emailing with Preeti and we might do a KAL on this sometime after the holidays. Right, Preeti? From yet another club, this is the first mailing I received. This is colourway Honey Bunny in the Skein Queen’s sock yarn base Exquisite. The colour is inspired by the film Pulp Fiction, something I have never had the chance to watch. 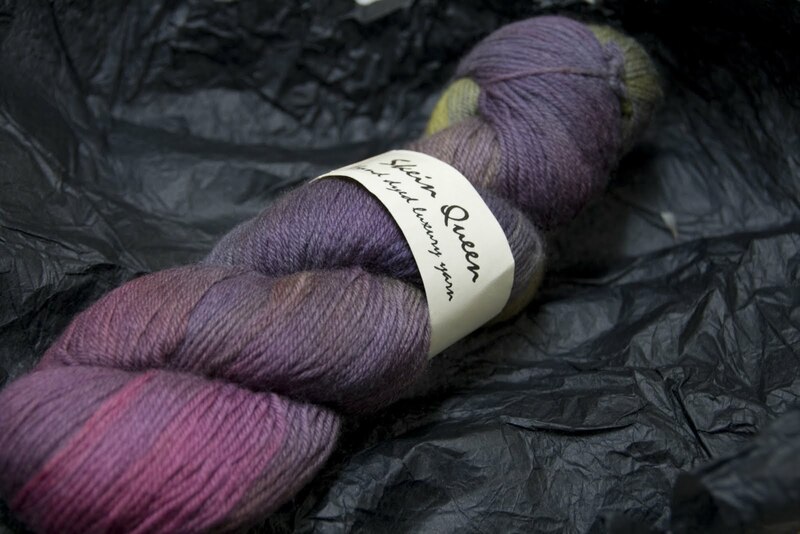 I’m thinking about knitting this up as a shawl, Damson by Ysolda Teague perhaps. Okay, that’s enough of a sneak peek for now. I have plenty of blog updates itching to get out of my draft folder, you’d be begging for me to stop!